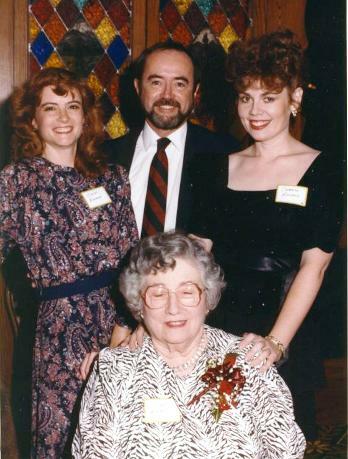 Cheryl at right joins her niece Cyndi Rhoads and her brother Gurrie Rhoads and her mother Mary Gurrie Rhoads in October 1988 at the Lyons Township High School Awards Dinner. Cheryl was recognized with a placque for being an outstandng alumna. Cheryl appeared in many high school plays while at LTHS in La Grange, Illinois.